I should start with an introduction, I suppose. My name is R.J. Vickers, and I’m an author with three published books. 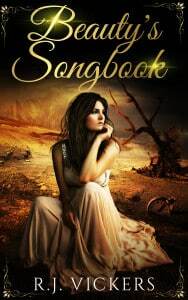 A few months ago, I heard of a new program called Kindle Scout–dubbed “Reader-powered publishing.” Curious, I decided to submit one of my standalone (unpublished) novels, a YA fairy tale titled Beauty’s Songbook. At this point, all I knew was that you had to submit a never-before-published book to the Kindle Scout nomination page, where readers would vote for it if they liked it enough. After a month, the publishing team would take a look at the highest-ranking titles and select any that they deemed worthy of publication. 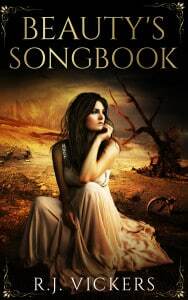 So, I submitted Beauty’s Songbook near the end of January, emailed my fans, and waited. When my followers’ nominations failed to propel me to the “Hot and Trending” list, I promptly forgot I had even submitted the book. 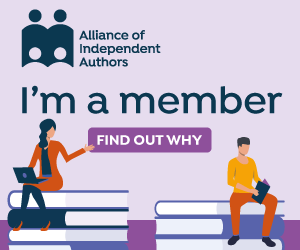 I thought this was a repeat of Authonomy, the now-closed program run by HarperCollins, which promised to put highly-voted unpublished titles in front of editors at the publishing house. Unfortunately, this program turned out to be nothing more than a popularity contest–without spending every minute of your free time reading and commenting on others’ novels, yours would never be discovered. 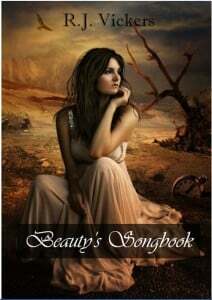 With three days to go before the month ran out, I checked back on Beauty’s Songbook (a fluke; I had been checking a link on my website). And there it was–Beauty’s Songbook had just made it to the “Hot and Trending” list! I’m pretty sure that was based on the strength of the cover alone, because I hadn’t done a thing to promote it since the beginning of the nomination period. A week after the nomination period closed, I received an email from the Kindle Scout team: “Congratulations! Your book has been selected for publication by Kindle Scout.” I’m going to receive a $1,500 advance, a copyedit (if necessary), 50% royalties, and promotion by Amazon. As one of the early authors to be chosen by this new program (it only debuted in January 2015, and the first titles were released that March), I thought it would be useful to provide an insider’s look on the program: how the process works, what Amazon does for your book, and what sort of results I’m receiving. I’ll post an update once a week through the whole process. I’m sure many of you will be interested in learning more about this exciting new opportunity! Once you’ve been selected, you have one month to submit your final manuscript, cover, and book description. After that, KS will pair you up with a copyeditor (if necessary) to help make any last-minute changes. When the book is ready for publication, KS gives you a launch date and a pre-order page that’s live for two weeks. Amazon doesn’t start promoting your book until 90 days after its publication (though it seems they break that rule from time to time). In the meantime, you can run all of your typical promotions and try to get as many reviews as possible. However, Amazon decides the pricing; while they can drop the price for their own discounted promotions, you can’t. You can put a call for reviews and links to your other books in the back of your KS book. Actually, the only part Amazon does for you is the copyright page. The rest of the content is up to your discretion. Some authors have been earning out their advances in just two or three months, while others take a bit longer. I’m currently changing a fairly large detail at the end of the book. 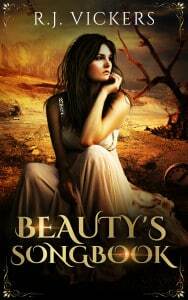 I haven’t actually read Beauty’s Songbook in a couple years (I put it away after receiving several “I really wanted to take it on but decided at the last minute I couldn’t” rejections from agents), so I have an outsider’s perspective on the novel, which means it’s easy for me to pinpoint what is and isn’t working. Plus, I’m combing through to make sure I’ve caught any slippery typos. I’m a copyeditor by training, so I hate when errors escape my attention! I aim to add a call for reviews, links to my other titles, acknowledgements, and dedication page over the next several days; I plan to submit the final manuscript before Friday, March 11th. That’s all for this week! I’ll post again next week with an update of where I’m at and what I’ve learned. This whole process is very exciting, especially because the program is so new that I have no idea what to expect. If you want to learn more about my other work, you can check out my website here. And you can send me a message here if you have any questions. If you’ve been published by Kindle Scout as well, I would love to hear from you! I can’t wait to see what the next months bring!